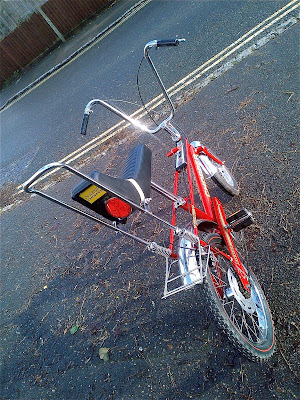 Friday, 9 May 2014: That's when I'm going to ride to the top of Mount Ventoux on an unmodified Mark 2 Raleigh Chopper from the mid 1970s. My objective (apart from to cycle to the top of Mount Ventoux) is to raise money for the fight against leukaemia. I'm going to ride the route from Bedoin: 1,617 metres over 21.8 km. It's the most famous and is reputed to be the most difficult ascent. The road to the summit has an average gradient of 7.43%. I'll need more than one C90 mix tape. 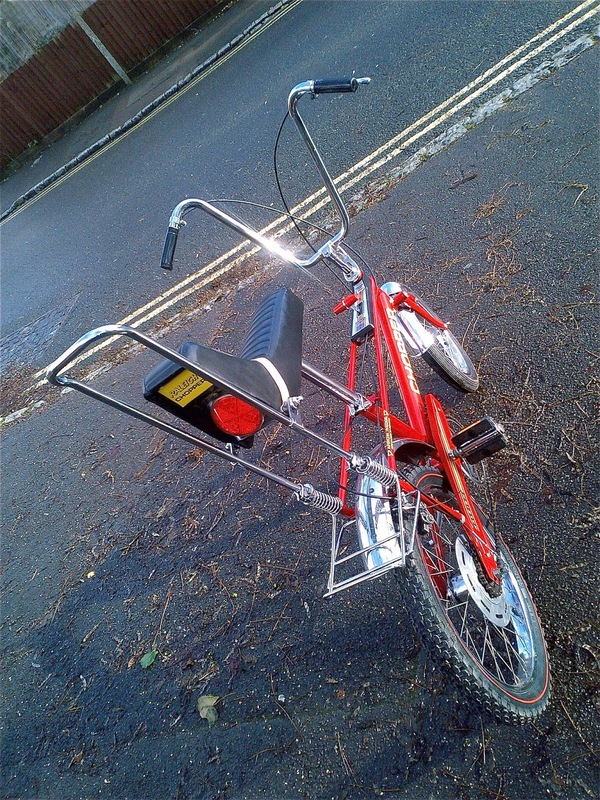 In the meantime, here's a picture of my extraordinary Chopper.